Photo Insomnia is focused on sharing photography techniques, ideas and knowledge with it’s audience. Whether you are a beginner, intermediate or an advanced photographer you will find something of interest here. The revolution of Digital Cameras and improvements in the field of digital SLR cameras has made it inexpensive to try different concepts and methods of taking eye-catching photographs. Therefore, it is not very expensive investment to get a basic DSLR kit to get you started. You can get a Canon 700D for around $700 these days. However as your level of experience grows you will need to buy the more expensive gear to take yourself to the next level. 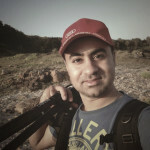 My name is Harmeet Gabha and I started Photo Insomnia blog a few years ago now. I have learned quite a bit over the years I’ve been shooting and I am always helping people who are getting started with their first purchase, next upgrade and also figuring out how to get the best photos in camera and in post production. On this blog I share my experiences and tips with my readers. So thanks for stopping by and be sure to follow me on social media if you like what you see here. To connect with us and stay in touch more closely, you can join us on our facebook fan page and also follow us on twitter. Like us on Facebook to get updates directly on your stream about new posts and freebies. All the content including (but not limited to) images and information is intellectual property of Photo Insomnia. It is protected by International Copyright laws. It is not to be Commercially reproduced, copied, modified or re-distributed as your own without written permission from Photo Insomnia. Sharing the content using Links to Photo Insomnia, Social Bookmarks, Facebook, Twitter or other social media is permitted. All the brands and trademarks are intellectual property of their respective owners. Feel free to use them for any personal or school projects. If you are not making money from my photographs I’m happy for you to use them however, by no means you should consider using my photos for any Commercial Work without proper License Agreement. All my photographs are licensed under a Creative Commons Attribution-NonCommercial 3.0 Unported License.